Whether you’re trying to grow your social media following, get more engagement or make your website more dynamic, there are plenty of WordPress social media plugins to help along the way. With a seemingly endless amount of plugins to choose from, deciding which ones are worth installing can be a pain. In order to save you the hassle of spending hours searching for the best plugins, we’ve compiled a list of 18 WordPress social media plugins that you should try out. Not only will they make you a more effective social media manager, but they’ll also make your life much easier. Note: It’s always smart to back up your WordPress site and download each plugin at your own risk. For easy-to-use Twitter plugins, this one can be very helpful for marketers trying to get clickable content shared. Through Click to Tweet, you can create simple Tweet boxes from the content within a post. 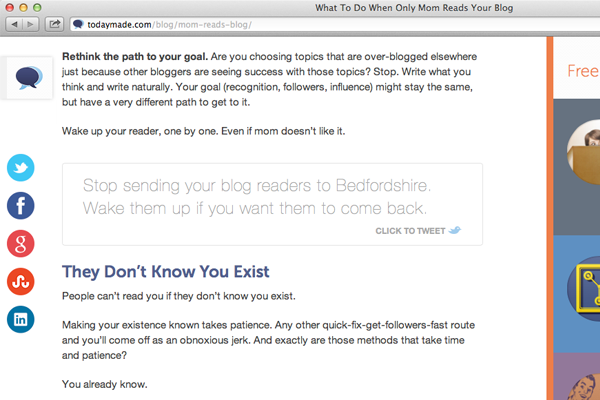 This is very ideal for those wanting to give their readers a way to highlight parts of a blog post. Twitter Cards help your Tweets stand out in your followers’ timeline by adding images, a call to action or other features regular Tweets don’t have. Twitter Cards Meta takes care of the technical side of integrating the feature into your site. All you have to do is fill out a few boxes and you’re done. If your website isn’t bringing in new Facebook fans, using this lightbox plugin could improve your conversions. Facebook Page Promoter Lightbox displays a pop-up that puts your page front and center for the reader. Although some marketers are on the fence about pop-ups, Crazy Egg found that opt-in pop-ups earned 1,375% more conversions than sidebar forms. Facebook All is a great plugin for companies that want to deeply integrate Facebook into their website. Use the Instagram Feed WordPress plugin to display posts from a single feed or multiple Instagram accounts. The great thing about this plugin is you can customize the look of the feed to make it more stylish and personalized. 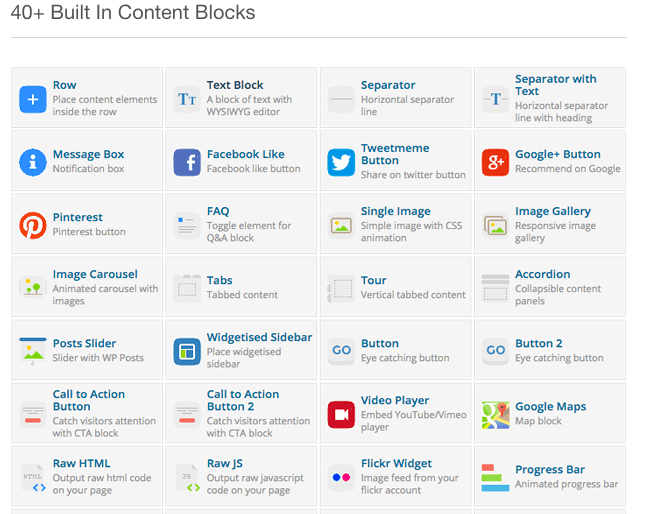 You can display feeds in your sidebar or within pages and posts. The Instagram Journal plugin turns Instagram posts into beautiful image galleries for your site. You can even display posts you’ve liked, other accounts, hashtags and more. A creative way to use Instagram Journal is for contests. Have participants use a branded hashtag to enter, then display those posts as a gallery on your site. Data from Breitbarth discovered 57% of companies use their LinkedIn page. If you’re one of them, sharing your posts on your website can give your page even more exposure. The LinkedIn Company Updates plugin lets you embed a stream of your latest posts on your site so everyone can see. Readers have the option to click on the “View on LinkedIn” button to be taken directly to your company’s page, where they can follow you. The Pinterest Widgets plugin allows you to add pins, boards and follow buttons to your site without embed codes. You can also display a profile box with some of your latest pins to entice people to follow you. Does your site use a lot of images within its content? Adding a Pin it button is an easy way to get people to share your content on Pinterest. The simplest way to add this feature to your site is a plugin. This particular WordPress plugin displays the Pin it button when readers hover over an image. You can also change the settings to make the Pin it button visible all the time without needing to hover. If Pinterest isn’t a part of your social media marketing strategy yet, it will be after using this plugin. Popups and modals are great tools to use when you want to increase audience engagement with your call to action phrases. You can easily introduce mailing lists, social sharing CTAs or even discounts through modals. WordPress PopUp is an easy tool to introduce modals through its flexible design and integration abilities. If you want an easy, flexible, simple and dynamic, this is the popup tool for you. We couldn’t narrow down our popup and modal social media plugins to just one, so we included PopUps as well. While this plugin is a bit more simplistic, you can add multiple popups and integrate with other marketing tools like MailChimp. Essentially the best decision on which popup modal you should use comes down to you. Social media engagement is all about having consistent and good interactions with your customer base. The same applies to your blog posts when people have questions or comments. LiveFyre is one of the best social media accessible commenting platforms because you can use multiple avenues to login and comment. Additionally, you can get email notifications each time someone comments on your blog posts. Engagement is critical and responding to comments is a pilar of keeping customers happy. Again, we couldn’t mention Livefyre without Disqus for the best commenting plugin. Disqus is much like Livefyre in the way it can help you engage with your audience and provide an easy social media login system. One of the few differences between the two is Livefyre can display comments in order of both newest and oldest, while Disqus will always display oldest comments first. Not only is Visual Composer an awesome page builder for the non-technical WordPress folk out there, but this plugin also has a social functionality too. Social widgets, follower buttons and link icons are easy to integrate (as well as many other website building features) and share your personal or professional social links. Visual Composer is a must-have in many WordPress pros’ eyes. 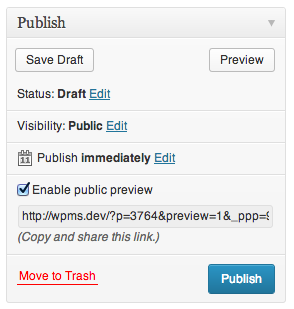 Through the Public Post Preview plugin, you have the ability to share links to post preview even if they don’t have access to WordPress. Whether you have other teams or external contributors, Public Post Preview is an easy link plugin to increase your security and share a link to a post before it’s published without worrying about another user publishing early. This plugin easily integrates with your current WordPress so you don’t have to dig around to get access to the tool. As the social landscape grows more competitive, the need for analytics increases as well. 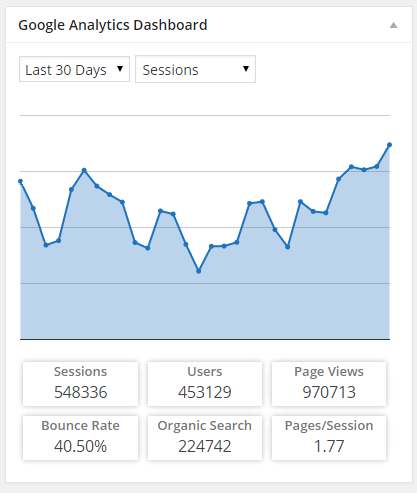 In steps Google Analytics for WordPress by MonsterInsights, a plugin that helps you track your important Google Analytics in an easy-to-install plugin. You can track your search result pages, 404 pages, download pages and much more. However, this plugin requires self-hosted sites, which means you will have to switch from WordPress.com to WordPress.org. We really do have a tough time picking the best plugins when there are so many good options to choose from, which is why we added Google Analytics Dashboard for WordPress. This plug in lets you track your blog and website by connecting to the newest Google Analytics tracking code. Being completely customizable, you can go further with your data collection, custom events and dimensions. We’re strong believers in analytics and having a plugin to help track your Google Analytics data is essential. As the demand for social media management grows, you need the best plugins to make life easier. We’ve given you our list, now it’s your turn. What are some of your favorite WordPress social media plugins you couldn’t live without?